In recent weeks both Apple and Google have laid their cards on the table and revealed their respective mobile OS hands. 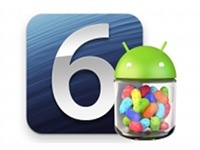 iOS 6 brings numerous much needed updates to Apple’s iPhone and iPad devices, while Android 4.1 Jelly Bean offers similar features but with greater refinement. Proponents of the Android platform will likely declare their operating system as the outright winner. Likewise Apple fans will inevitably argue a case for iOS 6 being the king of the mobile world. Although there seems to be only subtle technical details separating them, from an objective standpoint Jelly Bean has garnered an ever so slight edge. With a superior Maps application, dynamic and customizable UI, resizable widgets and lightening fast voice assistant, iOS 6 needs to improve in several areas in order to reclaim its crown. Although Siri has been given the ability to launch apps, it now lags far behind 4.1 Jelly Bean’s Google Now. Firstly Siri’s voice is a little too robotic and artificial sounding, while Google Now’s dulcet tones are much more human and natural. Although Siri can provide detailed and compelling Wolfram Alpha information about search topics, it can’t compete with Google Now’s outright speed. Setting reminders, asking for the weather forecast and general trivia are achieved much more quickly than Siri. Whats more offline dictation is not available with Siri, unlike Google Now. However at least Siri does allow Facebook status updates can be dictated directly to your home page. The UI in iOS has been a major bone of contention with users for some time. Its look and feel has become too simplistic, tired and boring over the years. There has been few noteworthy graphical UI enhancements since the very first iPhone. 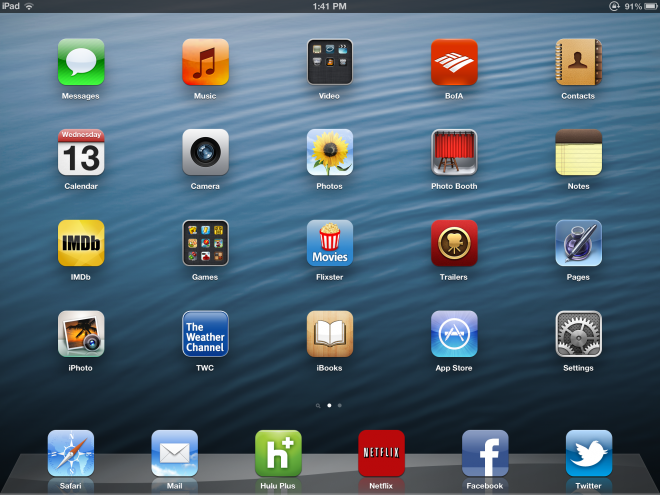 Only the ability to change the home screen background and create folders have offered any minor physical enhancements. Conversely Android continues to provide elaborate customizable backgrounds, live wallpapers and widgets and now with Android 4.1’s Project Butter the UI gap has widened further. Apple surprised everyone at the WWDC 2012 keynote by entering the Mapping game. iOS Maps now completely ditch Google and provide a fresh look and feel to the experience. Their new turn-by-turn navigation system is bolstered by Tom Tom satellite navigation information. But the crowning feature of their own particular interpretation of Maps is the 3D view mode called Flyover, which allows you to see buildings at an angle. 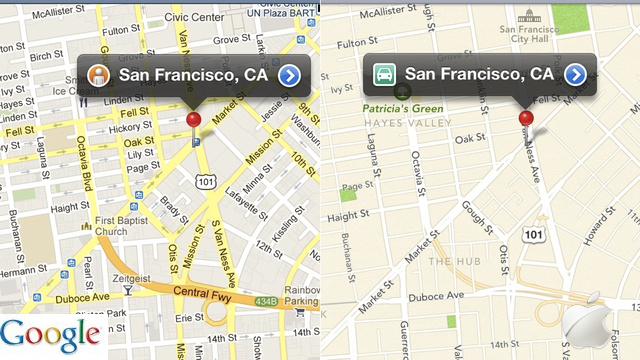 However despite Apple’s best efforts here, they were never going to overtake Google’s vast experience with Maps. For example, iOS Maps are simply lacking the detailed information we’ve come to expect from Google’s Maps. Traffic information is largely absent and many street names. Transit stops and important locations have also been omitted. Furthermore Apple Maps lack a comparative feature to Google’s Street View. For many longterm Google Maps users, this will be an omission too far. The ability to view roads and streets at human level in a virtual 3D environment is perhaps the biggest selling point of Google’s Mapping capabilities. Apple must work quickly to catch up with this flagship feature. Overall iOS 6 offers many excellent improvements over its predecessor. There is no doubt that continued competition from Google’s Android OS has lit a much needed fire under the belly of the Cupertino tech giant. They have certainly pulled out all the stops to deliver a significant upgrade for its users. However by the time iOS 6 is launched in the Fall (probably alongside the new iPhone) the feature gap to Android Jelly Bean must be closed significantly.